Finnair has unveiled its second Airbus in the special Marimekko livery, now an A330 as well as an A340 has this unique new look! The design collaboration between Finnair and Marimekko enters a new phase as Finnair brings textiles and tableware designed by the iconic Finnish design and fashion house to its aircraft starting on the 15th May. As an emblem of the cooperation, a Finnair Airbus A330 was unveiled today with a blue-forest livery based on the Marimekko print Metsänväki (“forest dwellers”). 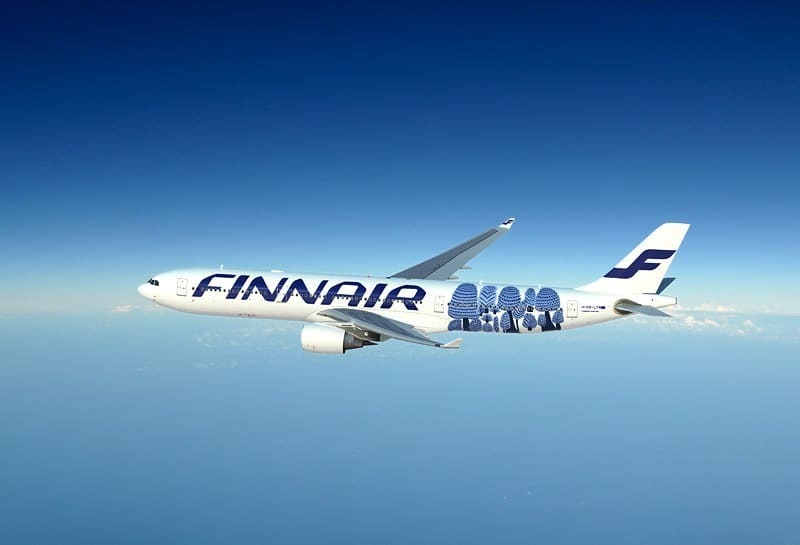 The plane will fly from Finnair’s Helsinki hub to the airline’s 13 Asian destinations plus New York, joining a sister aircraft painted in Marimekko’s Unikko (“poppy”) print last October. The fairytale like Metsänväki (“forest dwellers”) print was created by Maija Isola’s daughter Kristina Isola in 2007. The print is dedicated to dear and faithful friends: to the trees and bushes of the forest, which stay put year after year. Peace and trust are also reflected in the colourings of the design, in shades of green, brown and blue, of which the blue print was a natural choice to celebrate the Marimekko for Finnair partnership. ”With our Marimekko cooperation, we want to bring timeless yet modern Finnish design to the travel experience of Finnair customers,” says Anssi Komulainen, Senior Vice President, Customer Service. ”The Metsänväki print by Kristina Isola is a strong statement about the Finnish spirit and the forest-inspired energy that makes Finns tick. The print combines the majesty and fairytale-like magic of the Finnish forest. 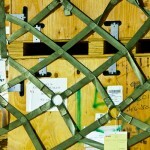 This makes it an ideal greeting from Finland, carried on the blue and white wings of Finnair around the world,” says Minna Kemell-Kutvonen, Creative Director at Marimekko. 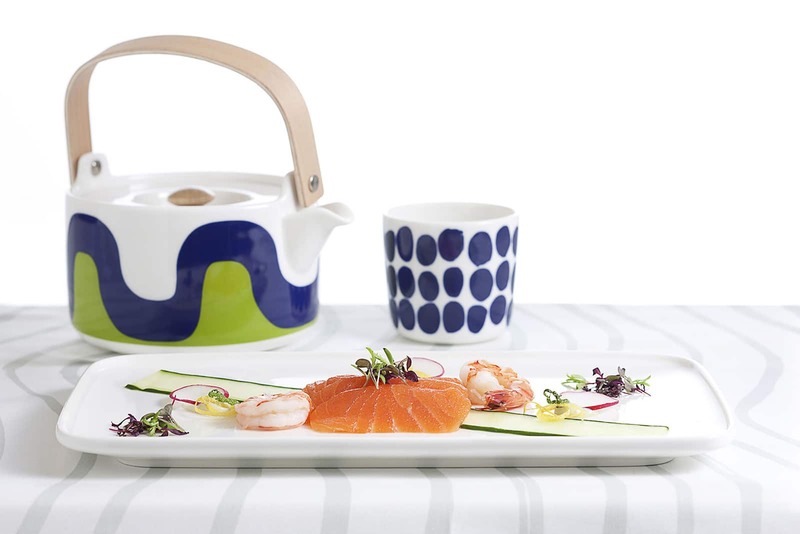 Marimekko for Finnair tableware and textiles have been designed to accommodate the special requirements of Commercial aviation. The Business Class tableware is made of special lightweight porcelain which helps Finnair reduce aircraft weight, thus contributing to fuel efficiency and a lighter carbon footprint. The Marimekko for Finnair collection was designed according to the airline’s needs by Marimekko designer Sami Ruotsalainen in collaboration with Kristina and Emma Isola, in original Marimekko patterns by Maija Isola. The blue, green and grey colours and the classic prints used in the collection tell the story of Finnish nature and the views seen when looking down from an aircraft window.